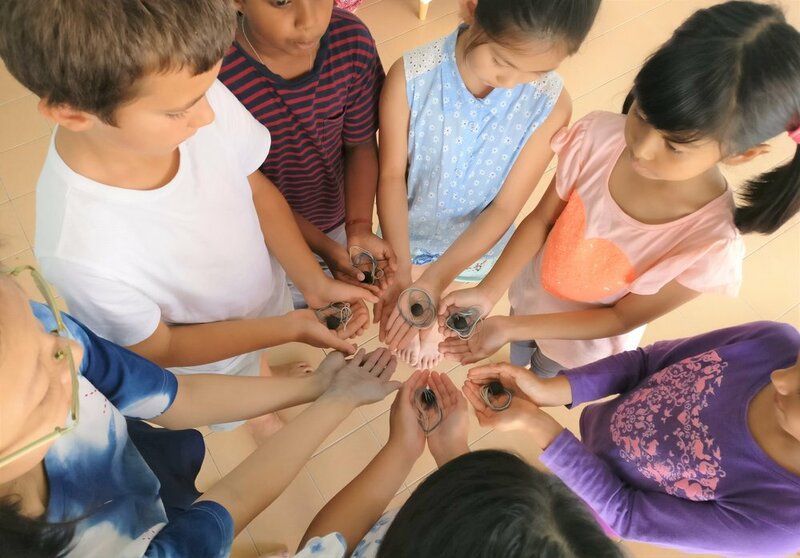 The Waldorf Steiner Grade School Course started in 2014 as a parent cooperative with the purpose of providing a holistic, humanistic and nurturing education for children, in true spirit of the pedagogy known as Waldorf or Steiner Pedagogy. The school is growing with the children who are enrolled in it. Currently there are classes for the lower primary grades. The aim, however, is for the classes to grow up to grade 8 and, in time, to add a Secondary Education Program. The school is jointly managed by parents, teachers and staff, who participate in various committees and thus contribute to the organic growth of the school. We accept that challenges and conflicts are drivers in this growth process, pointing at areas that can be improved. Members of the school community strive to meet each other in an open and respectful manner, trusting the unifying will-impulse in us, which serves the children. We believe that children have the right to develop into physically and emotionally healthy and ultimately free human beings, which enables them to take charge of their life and to contribute with their unique gifts to our society. The legal responsibilities for the school’s operation lie with the School Board and the Directors of The Waldorf Steiner School Ltd., a company limited by guarantee operating not-for-profit. Pedagogical decisions rest with the College of Teachers, including the acceptance of a child into the Program. Parent Committees provide support and input in administrative and operational matters. In particular, the Finance Committee oversees the financial sustainability of the school and strives to find the balance of the financial needs of the School with the financial means of the families within the School community. Parents enrolling their child in the program are encouraged to actively contribute to the life and growth of the School in whatever way they can. Each of us is bringing a unique gift to this joint endeavor. As we are all in the process of becoming better teachers and better parents, the School promotes and offers workshops, seminars and other activities that help us in our self-education.